I’ve been trying to review Curse of Osiris since before it even launched. I had a chance to visit Bungie for a preview event and take in the content, and I’ve been playing it regularly since its release on December 5. 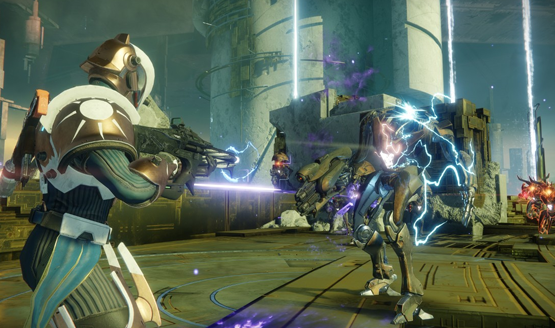 Leading up to its release, players had been quick to point out myriad problems with Destiny 2, particularly in, but not just limited to, the endgame. Every time I think I come to a consensus on the content additions and various updates to Destiny 2, something else comes along. I finally feel like Curse of Osiris has reached a zenith where I can effectively cogitate the breadth and effect of the changes and additions. It’s difficult to review a Destiny expansion because it is so reliant on the content around it. Do we only review what you have to pay for? Do we review the content updates that are free to everyone? Should it include promise of changes to come that are not yet here? Going forward, we’ll be treating Destiny 2 expansion reviews as a “State of Destiny 2” review, accounting for both paid content in the expansion and the free changes that come to the game with updates, as many of them are inherently tied to the new content additions. Destiny 2 Curse of Osiris finally explores a long mentioned, but never seen, character in the Destiny lore. Osiris was once a revered Guardian, but fell from grace when his methodology was deemed too extreme. He’s been missing for a long time, but whispers say he’s on Mercury, which is where we’re headed. This is all explained away quickly in a voice over by Ikora in the opening cinematic. Unlike Destiny 2’s main campaign, it’s hard to call Curse of Osiris a cinematic adventure. The opening scene is fascinating, showing Osiris messing around in the Vex reality engine known as the Infinite Forest, but it’s the peak of the story in terms of any kind of intrigue, emotion, or narrative beats. The campaign goes on largely without ever coming face to face with Osiris himself, and when it finally does, the meeting falls flat. That’s the biggest problem with Destiny expansion campaigns. They exist inside of a bubble. Osiris pops out of his hole to say hello and disappears back down inside it. 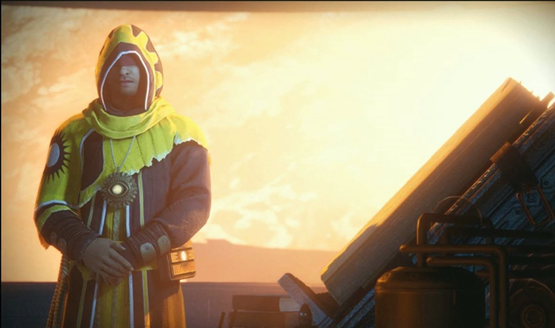 Considering the weight of the Red War, the Traveler waking up, and Guardians across the system losing their light, you’d think Curse of Osiris would tie in more with previous events or have more permanent ramifications, but doing something like bringing Osiris back to the Tower to be the Speaker simply isn’t possible. Bungie doesn’t seem to want to fundamentally change the base state of the world. Finishing Osiris’ campaign progresses nothing. It doesn’t move Ikora to Mercury. 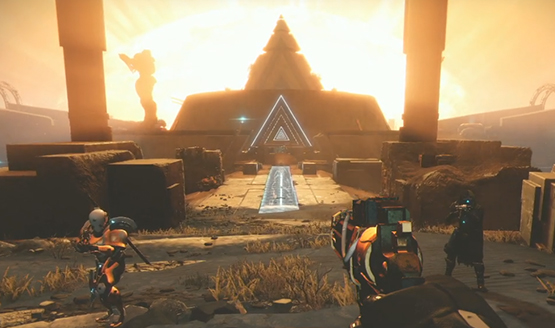 It doesn’t bring Osiris to the Tower. It doesn’t advance or change the development of any known characters (besides that one cheap and offscreen death of a character hidden deep in lore and side missions). It exists entirely on its own, and once it’s finished, doesn’t meaningfully move the Destiny universe forward in any way. 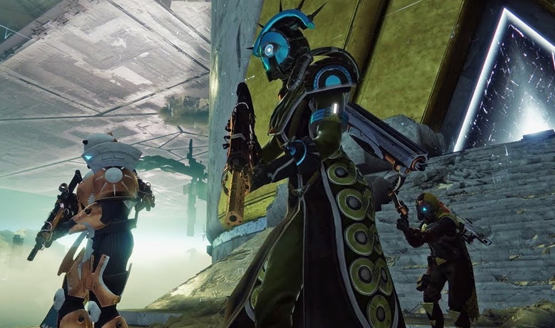 It means that Destiny expansions are entirely too predictable. Find out about threat, collect a couple of things, and neutralize threat. Dressing it up with the face of Osiris doesn’t change the fact that Curse of Osiris, like every expansion before, is just about saving the world from another monstrous threat. It’s easy to fantasize about expansion two–which is rumored to have something to do with the warminds and Ana Bray–doing all of these great things, but I fear it too will exist as an isolated event with little fanfare on comings and goings of the Tower and state of the world as it stands by the end of the Destiny 2 campaign. When we’ve got living games like Final Fantasy XIV that do such a great job of reshaping the world alongside their expansions, it’s sad to see Destiny 2 expansions never really pacing to break out of their tiny , isolated shells. Mercury is a bright, Vex-filled vista that seems to be brimming with possibilities, and yet its scope is immediately limited. The main patrol area is small enough to only have a single public event, two types of patrol missions, and one Lost Sector (not to mention you can’t use your sparrow here). While the public event is quite fun to play, there’s not enough to explore or do while waiting for the next one, and when that next one does roll around, it’s the same as the last, ad infinitum. Mercury finds itself a donut of drudgery before long, simply because it’s not populated with enough variation. When taken as an addition to the rest of the patrol spaces, it diffuses a little more variety overall, but grinding out Mercury gear specifically can feel like quite the task. The Infinite Forest is positioned at the core of Mercury, but I’d be remiss to call it a patrol space. It’s only available available when doing missions, specifically one of the two new strikes or three Adventures on Mercury. Said to be a reality engine, where the Vex simulate all possible permutations of time, it is instead nothing more than a randomized path of Vex inspired platforms. Bungie had an opportunity to make the Infinite Forest something truly unique and varied. One platform could have been moon inspired, and the next one masquerading as part of the Dreadnought, and the next yet another Destiny world we’ve been to (or maybe even teasing some we haven’t). At the end of the forest is a gate that transports players to either past, present, or future Mercury. Each one of these instances is interesting, but again calls to attention the limited scope that something with the name of Infinite Forest has. Instead of admiring infinity, I ended up trying to rush through as quickly as possible before long. It’s possible that Bungie could add to and update the Infinite Forest in the future–it still has a lot of potential–but as is the problem with this DLC to the main game, I’m not confident that future expansions will reach outside of their bubble to touch this environment. Destiny 2’s Crucible remains largely the same with Curse of Osiris. It’s still four against four and extremely reliant on team-shotting opponents. It’s a boring affair that lacks the exciting kind of heroic moments that any player could have in the first Destiny. No class or weapon really stands out at all, and you’d better not try to play the hero. While new modes didn’t come along with Curse of Osiris, Bungie has said that Mayhem will be coming with The Dawning next week. 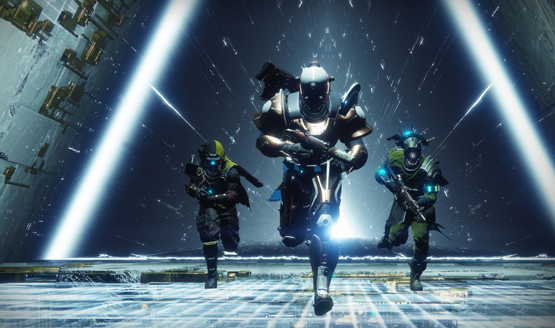 It’s unclear whether that will remain around or not, but for at least three weeks, players will get a breath of fresh air from Destiny 2′ stale launch Crucible offerings. The three new maps included for PlayStation Guardians are a lot of fun. A couple of maps finally take us to the twisting halls of the Arcology on Titan, and then we revisit Mercury in the past (because somehow Shaxx can access the Vex reality engine to train Guardians). They add a bit of a twist to what we’ve already been playing, but I’d really like to see a complete Crucible refresh sometime soon. Whether that comes from reworking the playlist structure, bringing back six versus six, or even changing the currently uninteresting primary weapon metas, any change could be seen as that for the better. Far and away the best part of the new expansion is the Eater of Worlds Raid Lair. It’s that one part of the DLC that waves its hand outside of the bubble and allows us to revisit the Leviathan, continuing and expanding on the story of the original Destiny 2 Raid. This time, you’re headed deep into the core of the ship where planets are devoured and processed. Though it’s a shorter encounter than a traditional Raid, it has some of the most interesting puzzles and mechanics for teams to overcome, and some stunning new environments that imagine what the interior of a planet eating mega-ship would look like. Destiny 2 struggled to give players reasons to play long term once the campaign was complete. Bungie is trying to make good on a promise to focus on players who want to play Destiny 2 as a hobby by offering some chases and grinds to work for. There is a Vex forge on Mercury that will make specific guns, each one requiring a grind for certain materials by playing different activities. Even if the guns aren’t that great, it’s given the completionist in me something to do. Seeing each node on the forge light up as I obtain each gun drives me forward, which is exactly the kind of thing I’ve been looking for with Destiny 2. I still think it’s got some of the best first-person gunplay of any game, and the social aspect is a lot of fun, so I just want Bungie to give me reasons to keep playing, things to keep chasing. Outside of the paid content that comes with Curse of Osiris, two massive updates brought a number of changes to Destiny 2’s endgame economy that help to smooth things over with the rest of the game. Things like reworking how tokens can be used, giving additional things to spend shards on, and adding the new Masterworks weapons go a long way towards expanding the endgame and making me love Destiny again. It’s not perfect yet, but it’s clear that Bungie is on a path of improvement. It’s getting there, and this December update has proven that they are willing to do what it takes to listen to and address fan concerns. One of those concerns is vault space and item organization though, and I’m still not sure why we have limited space to hold things (in a game about collecting loot, no less) and the organization of that limited space is pretty atrocious. I still prefer to go to an external app to manage my inventory, so organization is solvable, but limited space continues to squeeze those of us that just want to collect everything. It’s especially bad with consumable shaders and mods, which are limited to 50 slots and can’t be deleted in batches. The new Heroic strikes actually bring a level of difficulty to these missions, but without any interesting rewards, I still only play them when I need to grind out something like materials for the Vex forge. Bungie didn’t add modifiers or scoring (something Destiny 1 actually had), but they’ve said they are looking into that and will address it in the new year. Hopefully they also give compelling loot to be earned, like the strike specific loot present in Destiny 1. Some of Destiny 2 Curse of Osiris’ best content is locked behind Bright Engrams, which are Destiny’s version of loot boxes. These engrams can be earned by leveling up (in addition to paying real money), but it fails to drive the incentive to play the game’s content. In order to get a chance at ships, Ghost shells, and emotes, I’m simply looking for the fastest path to leveling up, rather than thinking “hey, I should play the Nightfall this week because it has a chance to drop emotes as a reward for finishing it.” Make endgame activities have a chance at dropping the content that people truly desire, and you’ll keep them hooked and coming back for more. Put it behind a paywall and you’ll end up with a lot of pissed off players looking at how to exploit the system. It may look like I didn’t like Destiny 2 Curse of Osiris that much, but I actually liked a lot of what it did for the game. Curse of Osiris and the December update have really started to improve Destiny 2 as a whole. The isolated campaign remains the weakest part of Osiris, while many of the other changes have begun to fix the endgame and long term grind once the campaign has concluded. Mercury may be a small patrol area, but it adds another flavor to the overall weekly ritual of completing various milestones. I’d still really like to see Bungie be brave though, and actually tell a DLC story that somehow impacts the wider world of Destiny. Alter the landscape. Bring new characters into the Tower. Send old ones back out into the world. Change things. Yet in truth, Destiny 2 will change. It will be a different game in a week than it is today. Destiny 2 and its expansions are all tough to review for this very reason. I’ve got some frustrations with Curse of Osiris–mostly with the lackluster campaign and unvaried patrol space—but it has largely pulled me back in to my traditional weekly ritual of completing various milestones in Destiny 2. How long that will last remains to be seen, but the immediate future looks promising. The Dawning will launch after my writing of this review and may address some of my concerns, albeit temporarily. In the start of the new year, more changes will start to be discussed. Right now I’m just happy to want to play Destiny 2 again, eager to see what lies in wait for the future. Destiny 2 Curse of Osiris review code provided with expansion pass at time of Destiny 2 launch by publisher. Version 1.11 reviewed on Standard PS4. For more information on scoring, please read our Review Policy.